Euro Design Jewelry has raised the standards in the service industry, by offering each client personal guidance and exceptional results. 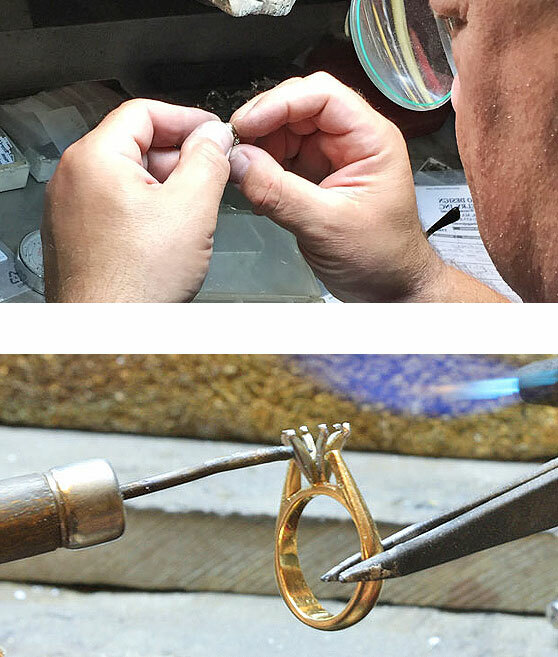 Our state of the art equipment, combined with the highest quality materials, master craftsmanship and latest technology, can ensure that your jewelry and family heirlooms will be in the best hands. Fine jewelry is always a meaningful purchase that captures a moment in time, whether you’re looking for a gift for yourself or someone else. Our concierge service will be happy to help you select just the right style. We begin with a conversation to understand the occasion, and learn about the lucky recipient of our jewelry, then we recommend pieces that fall within your budget, until you are completely satisfied. Finally, we promise to go above and beyond in making the whole experience extra special. Euro Design Jewelry raised the standards in the service industry by offering each client limitless jewelry services, personal guidance and exceptional results, with an achievement of value for every purchase. 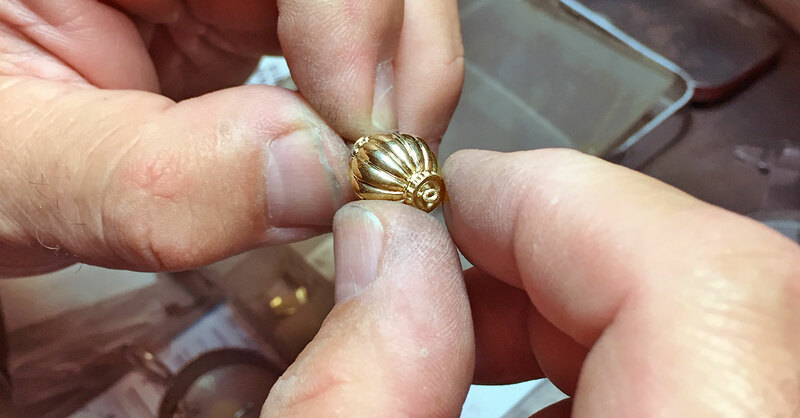 With over 40 years of experience in antique style making jewelry and estate jewelry repair, our highly skilled jeweler can accommodate many requests from a simple jewelry repair to refurbishing antique jewelry. For vintage, estate or heirloom pieces with serious condition issues, we offer restoration services to make your treasures beautiful and wearable again. We restring the pearls and beads in customer piece exactly as they were before. We also can work with you to create a new design. With a years of experience we can add some custom metalwork designs or adjust the placement of the pearls to reflect a pattern of your choice. 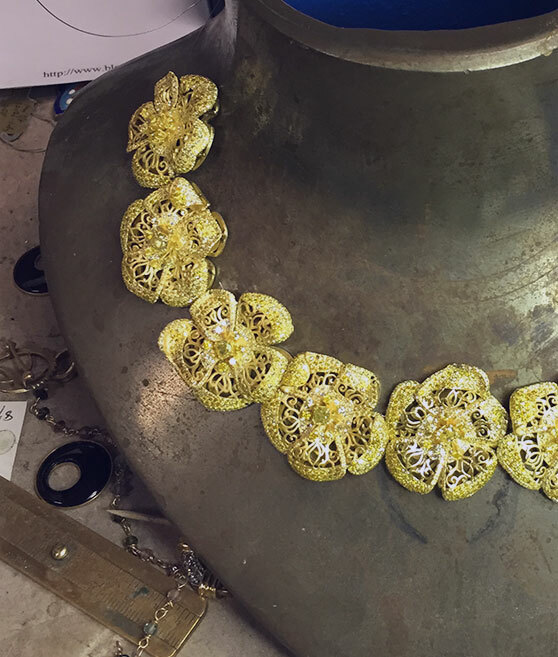 We have many years of experience designing and creating custom jewelry, and that means we can produce beautiful pieces that perfectly reflect individual style of each customer. Euro Design Jewelry offers free lifetime cleaning and stone inspections on every piece bought from our store or website. We offers appraisal services ranging from written appraisals for insurance purposes to verbal evaluation if you’re interested in trading or selling your jewelry, diamonds or watches. We provide a complimentary appraisals per customer requests on a piece of jewelry purchased from our store for retail price over $1,000. We recommend updating appraisals every three to five years. When customer request a revised appraisal, we must have jewelry back in our store for re-evaluation. There is a charge for revised appraisal. All appraisals done by appointment right in front of you, while you wait. All of our appraisals are performed by GIA-trained gemologist. Appraisals starting as low as $75 for first item. We have helped many clients replace their missing jewelry and made the process very easy and stress-free. When our customer have a lost, stolen, or broken piece of jewelry, they not worry because they come to us for help. They filed a claim with insurance company, and give our name to their adjuster for a replacement quote. Our knowledgeable replacement specialists, on-site master jewelers, and huge inventory of loose diamonds makes Euro Design Jewelry the ideal store to replace what has been lost.